Gear Spotlight: I've Always Wanted That! How many times have you looked a piece of much-needed racing gear and thought “I’ve always wanted that”, only to set it aside for another time? Well now is the time to finally pull the trigger on the gear you – or your loved ones – have been longing for. Here’s a list of some of our must-haves to get you started. 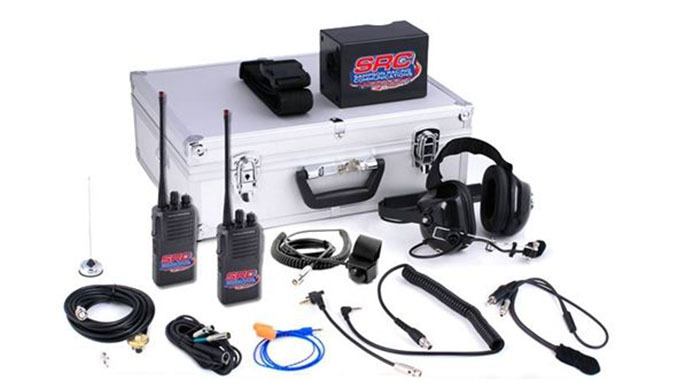 Sampson Racing Communications – “Starter System": A great option for racing on circle tracks and smaller road courses, this system includes a 5-watt, 42 channel Midland radio, NASCAR harness, push-to-talk coil cord functionality, noise canceling boom mic and Sportsman ear buds for the driver and a 5-watt, 42 channel Midland radio, behind-the-head flex/wire boom headsets and a detachable Midland coil cord for the crew. A hassle-free way to bring comms into your racing arsenal. Sampson Racing Communications "The Racers System" Complete Package: Need something a little more substantial? 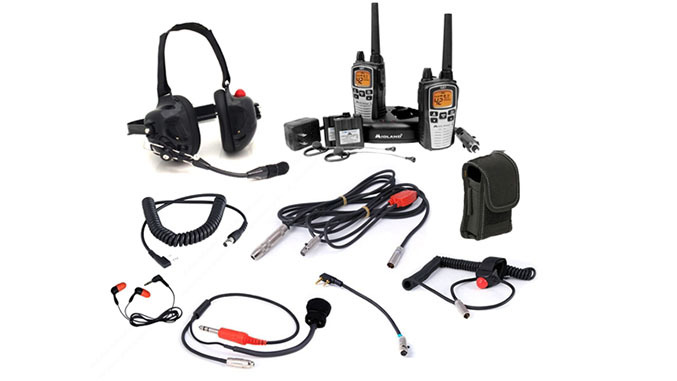 This system includes a pair of Vertex VX231 5-watt UHF 16-channel radios, along with a NASCAR harness, push-to-talk coil-cord functionality, a noise canceling boom mic, Pro Challenger ear buds and range extending roof mounted antenna kit for the driver, and the Spotter behind-the-head flex-boom headset, a detachable Vertex coil cord and belt with belt clip for the crew. Carrying case included. Techniche Self-Contained Cooling Vest: Drivers of track-day cars, formula cars or sports racers often do not have sufficient room in the cockpit for the box of a cooling system. Or you may be a driver or instructor who sometimes finds himself/herself in cars owned by others. These drivers can still stay cool with a self-contained cooling system. 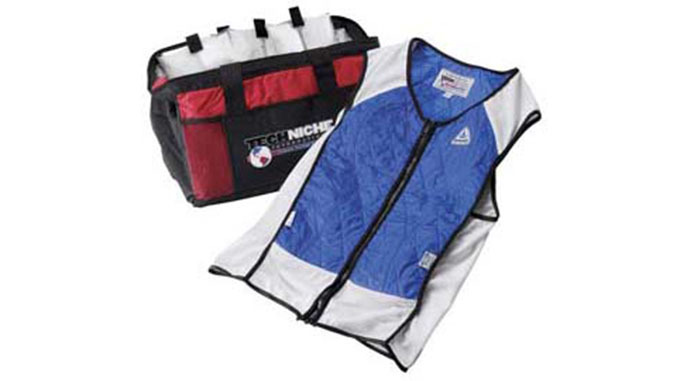 Self-contained systems consist of a vest that holds multiple cooling packs front and back – there is no box or plumbing and no electrical hookup. The cooling packs, which stay cold for up to three hours per use, contain a special fluid that freezes at 58 degrees F. That temperature is more comfortable against the skin than 32 degrees F and also allows quick refreezing by plunging into a cooler between sessions. We've tried these systems and the comfort level is surprisingly good because the "ice" packs conform to your body as they get slushy. 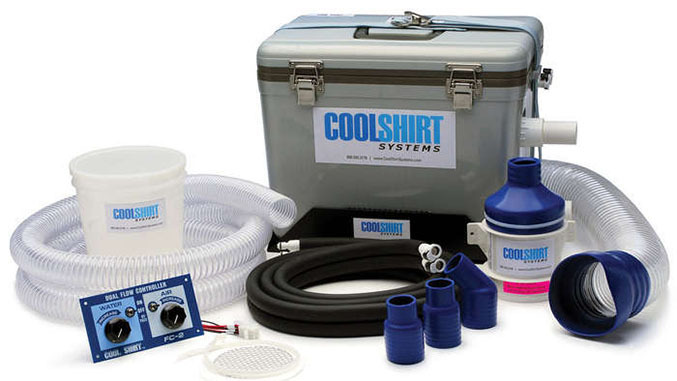 CoolShirt Club System All-In-One Kit: Offering a choice between 12-quart and 24-quart sizes and various hose lengths, this complete CoolShirt cooling system can also be equipped with temperature controls which allow the driver to regulate his/her temperature much more efficiently and evenly than a simple On/Off switch allows for. This system is natively compatible with CoolShirt shirts, but can be made compatible with all shirts (CoolShirt, Momo and F.A.S.T.) by adding the universal fitting kit. Replacement and maintenance parts for these cooling systems can be found here. 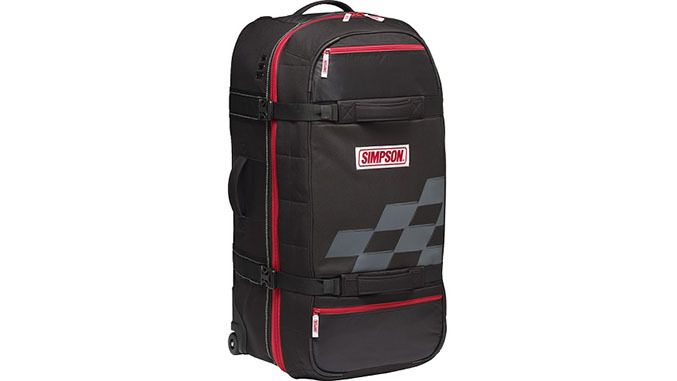 Simpson Super Speedway Gear Bag: Once you start making a habit of heading to the race track on a regular basis you quickly realize that lugging around all the requisite gear can become a bit of a hassle if you don’t have the right tote. This gear bag will comfortably accommodate your helmet, HANS device, two fire suits, two pairs of racing shoes, and two pairs of gloves with plenty of room left over for any incidentals. This effectively puts all the gear you need for a race weekend in one easy-to-carry bag. Featuring a heavy duty trolley system, smooth rolling polyurethane wheels, and ample ventilation to allow air flow through the bag and minimize dampness and odor build-up, this is a gear bag designed for racers by racers. 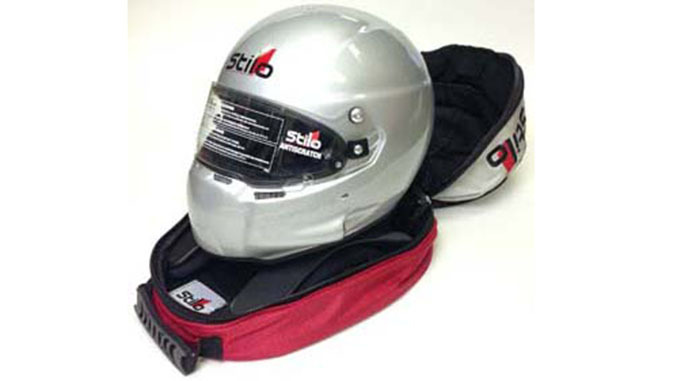 Stilo Protective Helmet and HANS Bag: This feature-packed high-quality helmet bag is designed to hold both your helmet and your head-and-neck restraint device. With a durable canvas exterior, a well-padded velour interior, a detachable shoulder strap for hands-free transport, and ventilation ports on the underside of bag help to facilitate faster drying and prevent mold, this well-designed helmet bag can take the place of several gear totes and make safely transporting your valuable racing headwear a much easier task. Click here to see the entire range of products available from the Winding Road Racing store.